Squeezing through a massive artificial spiderweb was not what Steph Wald was expecting to do when she arrived in Yosemite last month. Steph, our Watershed Projects Manager, attended a mountain retreat courtesy of our partner organization Sierra Watershed Progressive in January. Along with a member from the California Conservation Corps and the SWP team, she brainstormed how all three organizations could collaborate to achieve their common goals. And, yes, she was lifted up by her team and squeezed through a space in a giant spiderweb. More on that later. SWP is a resource-based consultant collaborative based in the Sierra Nevada mountains. It provides sustainable designing and building services for water conservation systems, along with consultations and water education for clients. Their latest project centers around onsite wastewater treatment: essentially, designing a system that puts water back into the ground after it’s taken out. This results in little net water loss for the ecosystem. Steelhead trout need clean, clear, and cold freshwater in our local creeks. CCSE is partnering with SWP in a planning and feasibility study to integrate water strategies to enhance streamflows in Santa Barbara and Ventura Counties. CCSE’s role is to facilitate the technical team and provide technical expertise in hydrology. We’ll be talking with landowners to help them understand how their water intake affects habitat and instream flows, as well as working with them to reduce their water usage. 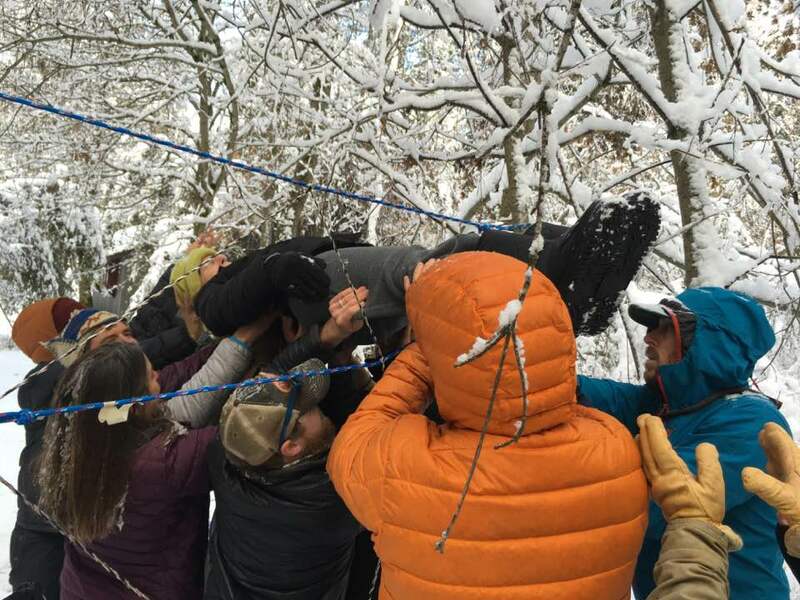 It’s a team effort, demonstrated by the spiderweb exercise: when groups come together with a common goal in mind, they can overcome the challenges that lay in their path. “This is another example of the cutting-edge work that SWP is doing, and they’re getting attention from the state,” said Steph. “We’re there as the voice of the fish, essentially, to ensure….that we can provide some great progressive ideas with our partners, because we can’t do this all by ourselves."